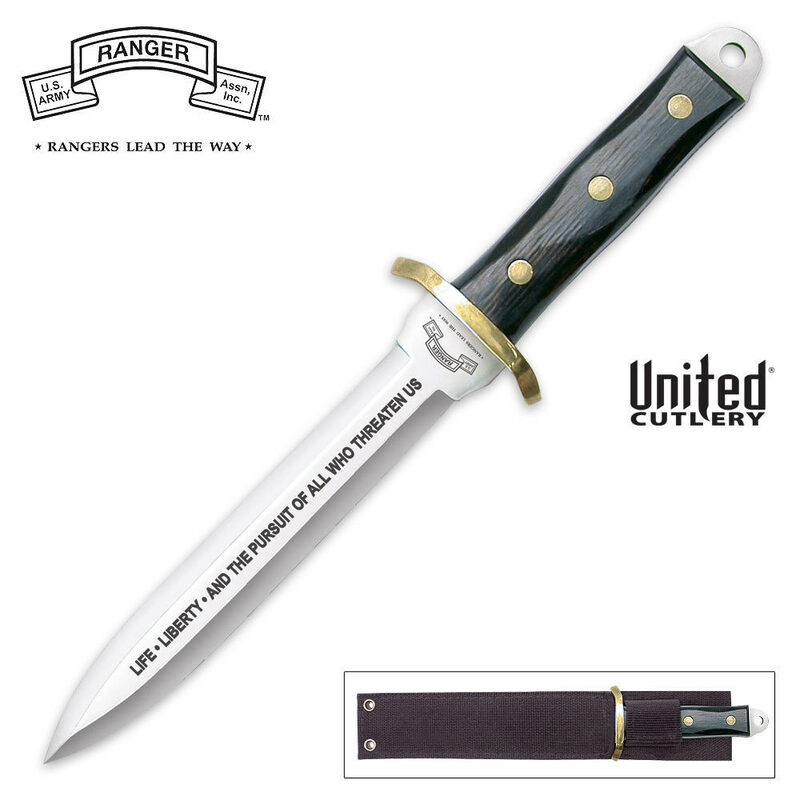 United Cutlery Tactical USARA Dagger Knife | BUDK.com - Knives & Swords At The Lowest Prices! Built with the tactical user in mind, this knife offers a wide variety of patterns and designs to utilize in the field. USARA knives are tough and durable. Features pakka wood handle, brass guard and pins, with a 420 stainless steel double-edged blade. Includes a nylon sheath. This was for me but my son loved it so much ... It is now his ! Lol Will need to order another one . Great price and well crafted . Arrived on time . this is definitely one sweet knife! sharp ,right out of the box and handles well! really well made!bought 2 of these ,one for myself and my twin brother> we both collect and display all items we buy from BUDK!have showed all knives purchased to friends and family!great knife at a great price! Absolutely the best dagger I have in my collection. Sharp right out of the box. Also, very pleased with the sheath. I must like it 'cause I have three!!! This was my first purchase from Kennesaw,not usually knife person, but was very impressed with quality of this dagger.Heavy duty,and loved inscription on blade. Quick shipping, I am well pleased with the fit and finish of this dagger. It is not perfect but well done for the price. The work coming from China is very good for the price and is as good as or better than many other knifes I have seen even from the US. The blade has some spring in it and so hold up well. The sheath is of good quality but may require some work to fit on a wider belt. I have several daggers and this is the equal of any I have. A very good product for the price. Picked this up for $12.98 and free shipping. This knife is solid and sharp right out of the box. There is no wiggle on the blade. This was my first purchase from Kennesaw and I am very pleased. Unbelieveable bargain for a quality knife. It is a remake of the famous EK combat knife which started in WW II. I have carried an EK knife in 3 conflicts as a soldier and 2 conflicts as a civilian. This is a good starter knife for all. This is the best dagger in my collection, both sharp edges make it a true weapon.